Item # 315077 Stash Points: 5,995 (?) This is the number of points you get in The Zumiez Stash for purchasing this item. Stash points are redeemable for exclusive rewards only available to Zumiez Stash members. To redeem your points check out the rewards catalog on thestash.zumiez.com. 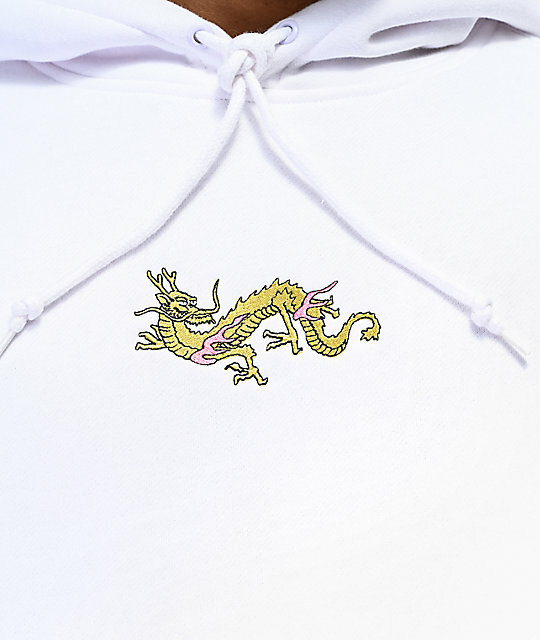 Show your allegiance to your favorite skate company, Meridian Skateboards, in the Rising Dragon White Hoodie. 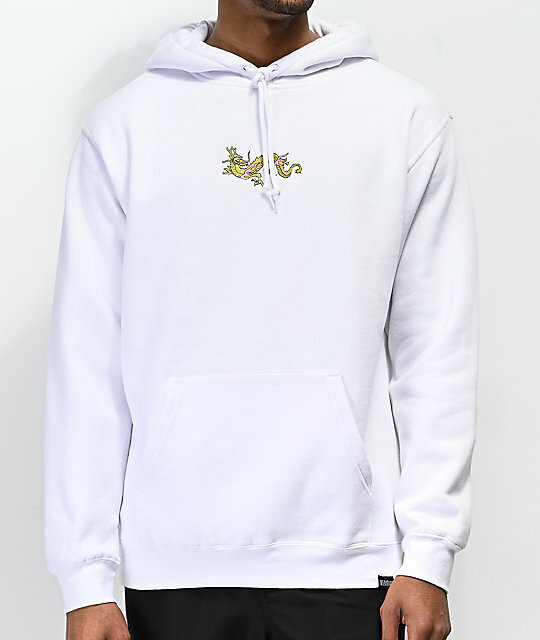 This crisp white hoodie features an embroidered dragon on the center chest, while the back displays a screen-printed version of the same dragon, along with a pink "rising sun" graphic and Meridian logo text in black. The hoodie is finished with an adjustable hood and kangaroo pouch pocket for a cozy feel. 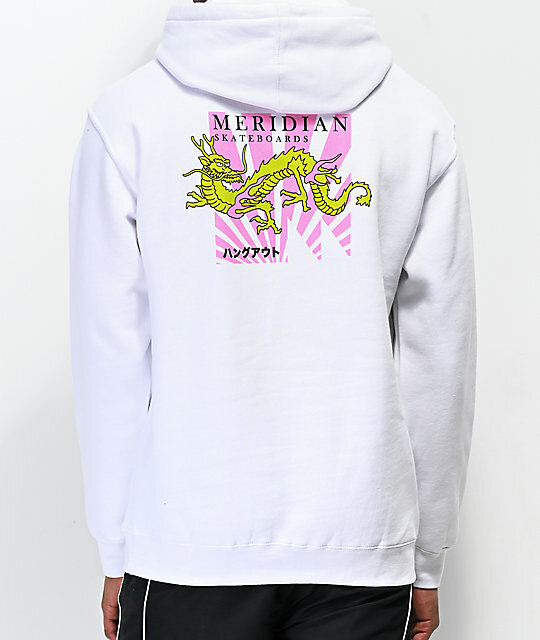 Rising Dragon White Hoodie from Meridian Skateboards. Embroidered Dragon on the center chest, and Screen-printed graphics on the back.